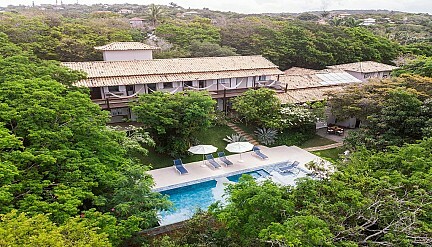 Located in the most exclusive neighborhood of Buzios peninsula, Horseshoe, near the beach and the charming Rua das Pedras, Pousada Vila Pitanga offers an environment in total harmony with nature. The personalized attention, the warmth of our decor and moments of tranquility in our garden with native plants by the pool, makes the hostel Vila Pitanga is an excellent choice to enjoy the essence of Buzios. 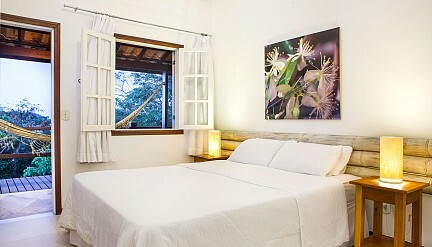 Equipped with air conditioning, cable tv, frigobar, safe, wifi and ceiling fan. * Terrace overlooking Lagoa da Ferradura. 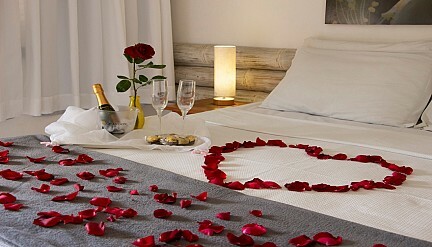 Equipped with air conditioning, cable TV, minibar, safe, wifi and ceiling fan. * Ground floor with garden view. Pool and solarium with ambient music. Towels for beach and pool. TV with the best movie channels. Check out 12:00 hs. with option of late check out for additional payment. Buffet breakfast included from 08hs. at 11am. No bairro mais exclusivo da península de Búzios, Ferradura.